The educational charity museum, At-Bristol, has announced that it will be undergoing a refurbishment and relaunching as ‘We The Curious’ to encourage curiosity in science. The work will start this month with the museum looking to get ideas from the public about what can be improved. It comes after research suggested visitors felt that the museum needed to be ‘more challenging’. As an educational charity, At-Bristol aims to get more people, especially schools, interested in science. The focus of the relaunch, which is expected to be completed in 2019, is ‘curiosity’ and hopes to inspire young people to question the world around them, and be more inquisitive about how things work, tying in with the Science curriculum. What will the refurbishment involve? The renovation has been funded by Department for Business, Energy and Industrial Strategy (BEIS) and Wellcome’s ‘Inspiring Science’ Fund. It will involve revamping the entire ground floor space as well as a new entrance foyer. The ground floor exhibition space will be developed over the course of two years and will be inspired by ideas from Bristol’s community. 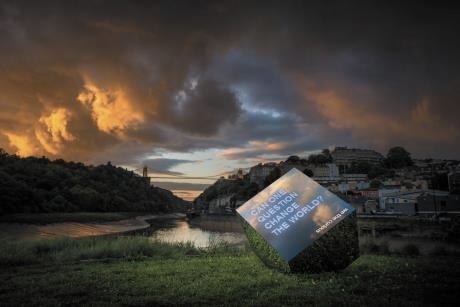 The exhibition space will be influenced by the city of Bristol and will be called Curious City. This space is expected to include a range of interactive activities and displays, drawing on many disciplines to explore Science, Technology, Engineering and Maths (STEM). More details about specific school programmes are to follow. The café and shop will also undergo a makeover in the next couple of years. School visits to the museum can include a multitude of activities, from planetarium shows such as Invaders of Mars 2D and Blue Marvel 3D suitable for Secondary students, as well as workshops such as Experience Psychology and Fossil Finder, through to themed days such as A Question of Taste which looks into biochemistry and is suitable for Key Stage 4. School rates are available and teachers looking to book a visit to At-Bristol, soon to become We The Curious, can contact education@at-bristol.org.uk. For more information, visit www.at-bristol.org.uk.